Childhood treats like Rava/Sooji Laddoos are difficult to forget! One of our favourite sweets in childhood was Undi/Unde or Laddu or Laddoo any kind was ok.
Undi/Unde or Laddu or Laddoo is one of the most important foodstuffs for festivals or family events or religious occasions be it a wedding or birth. Can you forget the Tirupati Laddu that is a prasad at Venkateswara Temple, Tirumala, Andhra Pradesh? 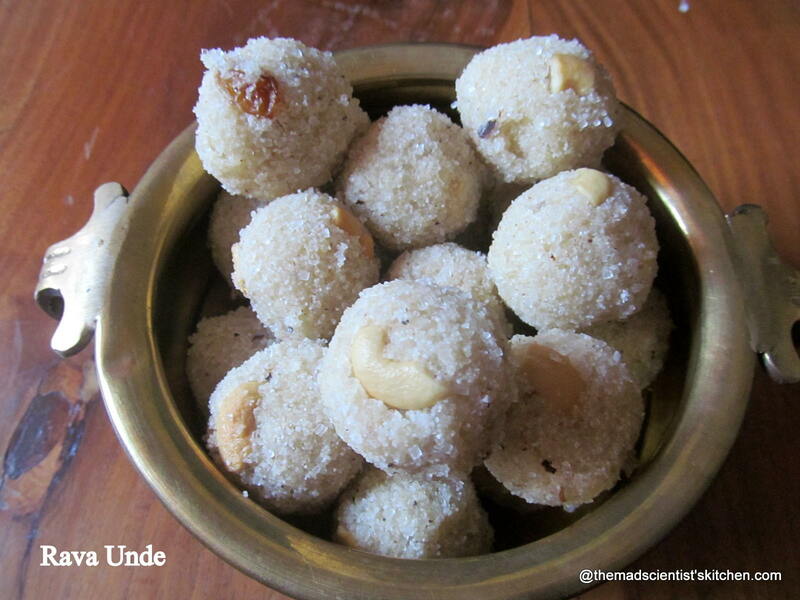 Yes, Undi/Unde or Laddu or Laddoo is also a prasad or offering in many temples. So what is Undi/Unde or Laddu or Laddoo? 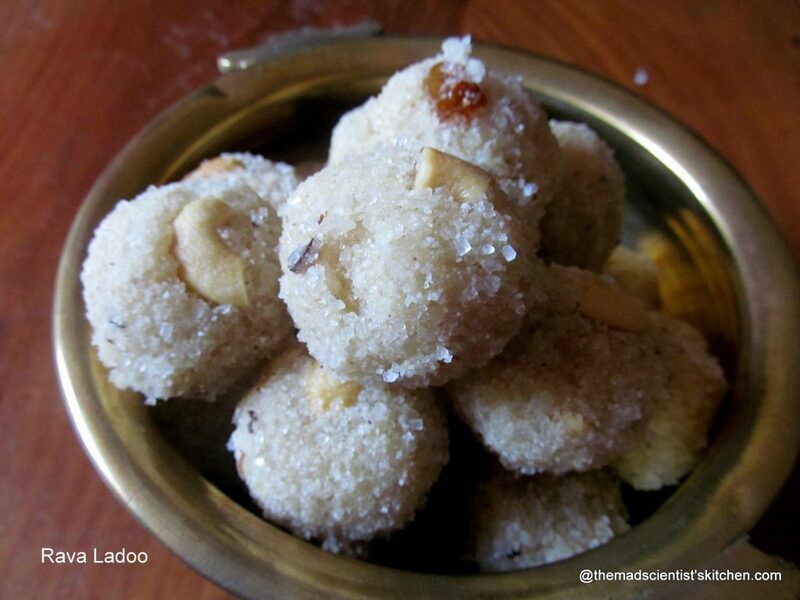 Undi/Unde or Laddu or Laddoo are balls of sweets extremely popular in the Indian Subcontinent. Ladoos are made from flour and sugar with other ingredients that are different from region to region home. The most common Ladoo are Besan Ladoos or Chickpea Flour Ladoos and Rava/Sooji Ladoos the main ingredients are rava (wheat semolina) and coconut, sugar, ghee and/or milk. Basically, the ingredients are cooked in ghee combined with sugar and other flavourings and moulded into a ball shape. Ladoos are used to provide instant energy and especially lactating mothers are treated to Ayurvedic medicinal ingredients. These can be from methi Ladoos, multigrain and resin Ladoos, try Aliv che laddoo. Nuts such as pistachios and almonds are commonly used into Ladoos. Laddu is considered a traditional Eid dessert in some Muslim communities. 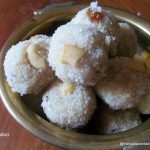 There are different kinds of laddoo Boondi laddu, Motichoor laddu, Besan laddu, Coconut laddoo, Malai laddu, Laddu with edible gum(Dinkache laddoo in the Marathi and Gond ka laddu in Hindi and Antinundi in Kannada), Godhiunde or Wheat flour laddoo,Churmuriunde (churmurahe Laddoo), Hesarunde or Moong dal laddoo, Til/ sesame seeds laddoo, tambittu made from gram dal and jaggery is an important offering to Nagappa the Snake God for Nagpanchmi and my favourite Alivache Ladoo but then the list is endless. There are instant varieties too like Maledi our childhood favourite. Too bad I have no company to enjoy these. My father-in-law will love them but being diabetic he is not allowed them and the girls well they don’t like sweets! This is copied from here. A delicious sweet from my childhood! Heat 2 tsp of ghee in a kadhai/wok. Once the ghee is hot, lower the flame and fry cashew nuts and raisins. Once the raisins balloon up, remove. Transfer to a big bowl. In the same kadhai/wok stir fry the grated coconut. Remove once you get a delicious aroma. Please remember to stir continuously when doing this job. Transfer to the same bowl in which you have kept the nuts. Add the remaining ghee and roast the rava till its well roasted and you get a delicious aroma. Transfer to the bowl. In a bowl, you have the roasted rava, nuts, coconut add the cardamom powder and sugar. Mix well. Slowly add the warm milk into the bowl.Check if you are able to gather as balls. When you find that milk added is enough to get you laddoos, transfer it back to the kadhai and cook on low flame for 2 minutes. Mix well and cover it and let it rest for 2 minutes. Immediately make balls or laddoos. Since we add milk, its best to consume within 5 days of making them. If you store them in fridge, you can have them for a week.